Showtime 4pm doors open at 3pmTickets are NOT MAILED, all tickets are WILL CALL AT THE DOOR. There is a 6% handling fee include in the ticket price. Bill Kirchen has become widely known for the trademark big-rig guitar riffs that powered the Commander Cody hit Hot Rod Lincoln into the Top 10 in 1972. Since 1993, he has recorded seven critically acclaimed albums of his own that have made him one of the musical elder statesmen of todays Americana music, which in truth was pioneered by acts like Cody and his Lost Planet Airmen back in the 70s. Showtime 4pm doors open at 3pm Tickets are NOT MAILED, all tickets are WILL CALL AT THE DOOR. There is a 6% handling fee include in the ticket price. 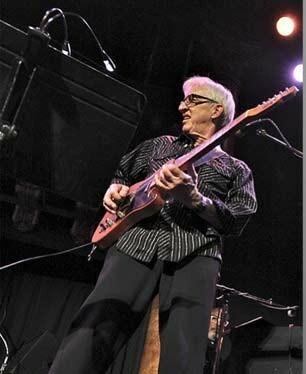 Bill Kirchen has become widely known for the trademark big-rig guitar riffs that powered the Commander Cody hit Hot Rod Lincoln into the Top 10 in 1972. Since 1993, he has recorded seven critically acclaimed albums of his own that have made him one of the musical elder statesmen of todays Americana music, which in truth was pioneered by acts like Cody and his Lost Planet Airmen back in the 70s.